I’ve learned from previous experience on other forums (for a?) that it is a good idea to keep a project thread, for sharing and in order to document the ideas, pitfalls and progress. So here goes. The specification – for those who are interested - included sea blue leather interior, PDK, PSE, sports seats, the sport chrono pack, and Carrera Sports wheels in titanium with 8.5" wide fronts and 11.5" wide rears (apparently this was an option?) and Pirelli P Zero N2 tyres. 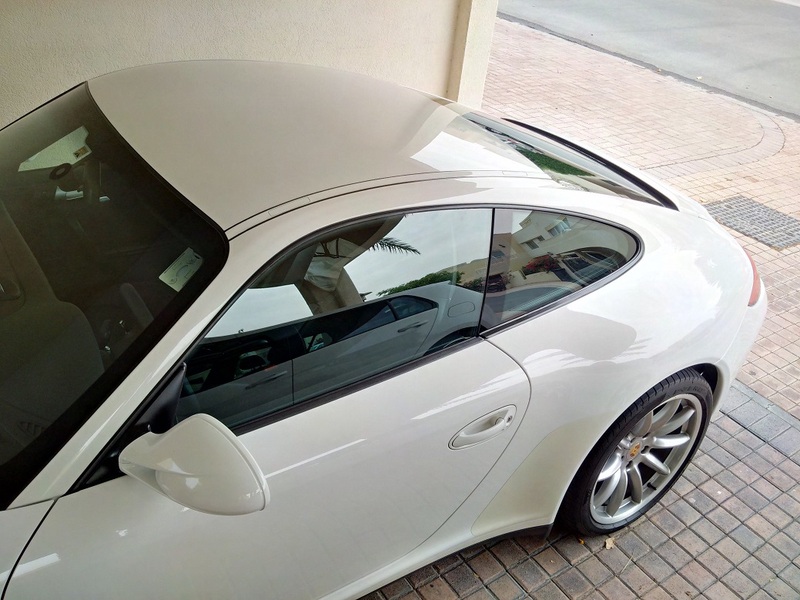 Having read that the 997 was pretty quiet, I was looking into the centre exhaust mod from Sharkwerks. Sharky was responsive and friendly, but before I pulled the trigger, I needed to take delivery (you need local ID and a driving license to register the car…). In retrospect, I’ve found the PSE is loud enough when flaps set for takeoff, and my 3.8 definitely sounds louder than my friend’s stock 997.1 3.6 Turbo under load. We think that a stealth mod may have been done somewhere. The other issue was the steering wheel. It was a bit shiny (maybe the wrong cleaning product? ), and it had the push/pull buttons. I couldn’t get on with them (they’re not intuitive at all) and I now have the later Porsche Sports steering wheel with the hollow metal spokes, nice long paddles, in the matching sea blue leather. 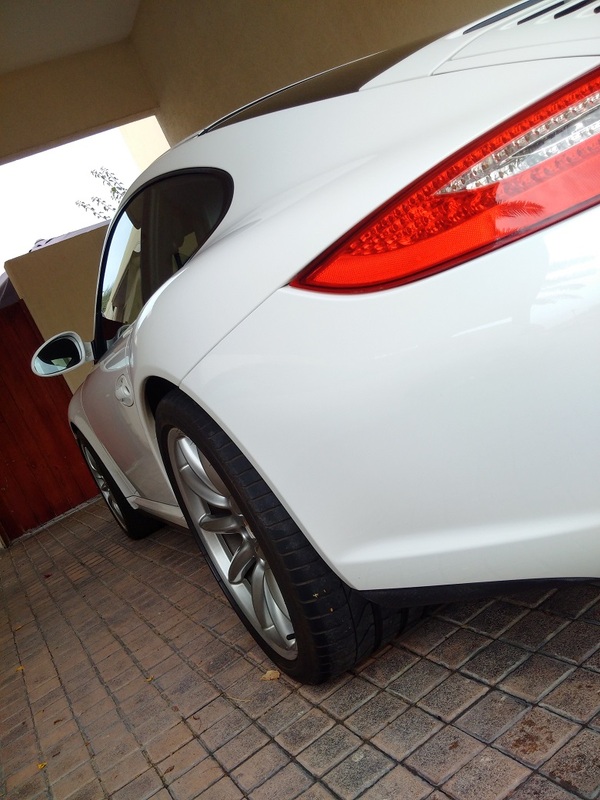 And I love it, it really allows me to get the best out of the PDK and it’s 35 millisecond gear changes – the lack of torque interruption is really impressive. I still need to unlearn the old behaviour that I can’t change gear in the corner. *Sorry, it’s a nod to the café scene in Reservoir Dogs. And my name isn't Max, the username comes from a retired Finnish bloke called Marcus Gronholm, who used to mark the full power/special stage button in his rally cars MaxA for "Maximum Attack". (Although I'm British, I'm married to a Finn, and I have lived in Finland for 15 years or so, and I'm a fan of Nokian Hakkapeliitta winter tyres). Max that looks lovely mate. Congrats. You have exactly the same spec car as me. PSE, Chrono Plus, Sports Seats, PDK 4S. Looks great Max. Look forward to hearing about your ownership. I have the Hayward and Scott center bypass which is a copy of the sharkwerks design. The car now sounds like it should and works very well with the pse so can easily turn it off for work and on for fun! 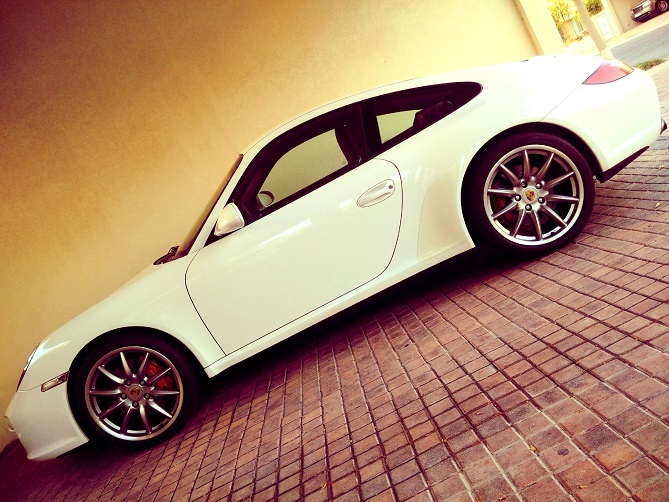 I like the Carrera Sport wheels. The 305 rears just look a bit more purposeful. Thanks chaps. I've got loads of pictures but resizing them all to <500 from 2MB is pain in the neck - what can't this forum do it automatically? As to future plans, I need new vinyl shark fins for the rear arches as it looks like a big old dog has had a waz on each side of the car... any ideas where to get them? And I'm still minded to remove the door cars and get the carpet bit re-trimmed in sea blue leather (as per my earlier discussion with Phil). 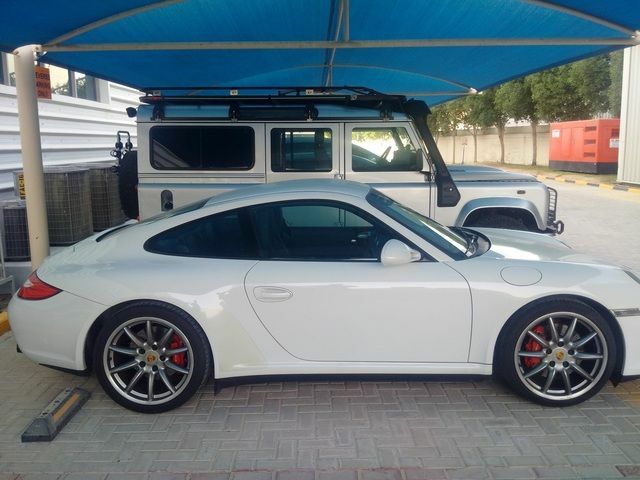 In the meantime, I'm trying to register at the next Driving Experience with the Porsche Club UAE. We'll be at the full 5.44km GP track at Yas Marina. Regarding the stoneguards, I would probably just go to an OPC and buy genuine items. I don't think the price difference is that great and you will know they work. Thanks, I'm thinking the same as they do look a bit crap frankly. And they may interfere with some future plans. Max , Nice pics mate the Alloys come just in line with the arches nicely . One more. Looking for the different camera angle. * back when turbo's were Turbos, wheels were spun, lines of traffic despatched in huge lunging overtakes (now illegal of course), sheep were frightened, and you had Turbo Gauges... none of this modern, ALS or torque limited nonsense. LOL Well that's a good thing that the wheel is still where you left it each morning.